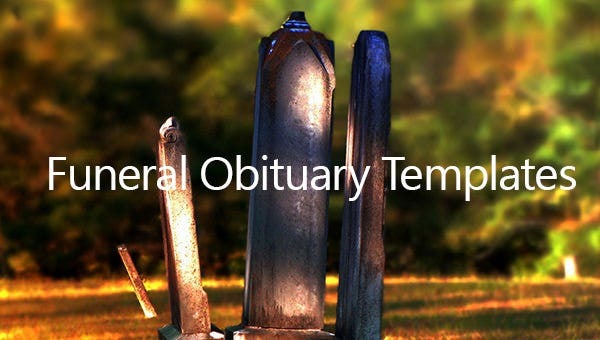 You may be left alone and poignant by a life that has withdrawn but that will not restrain you from performing some rituals that are obligatory. 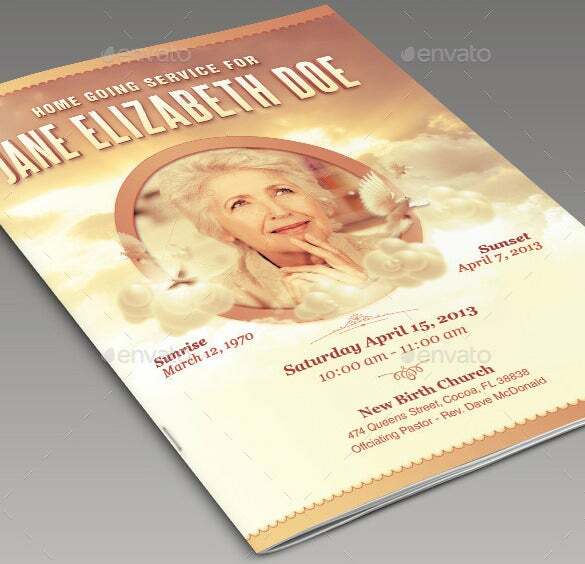 Many people are faced with a trouble that is how to write an obituary. 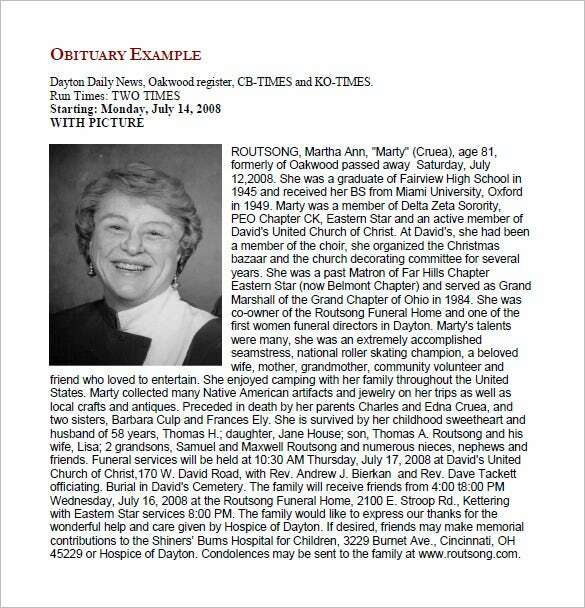 In times like that it is difficult to keep your head in order to write the obit well. 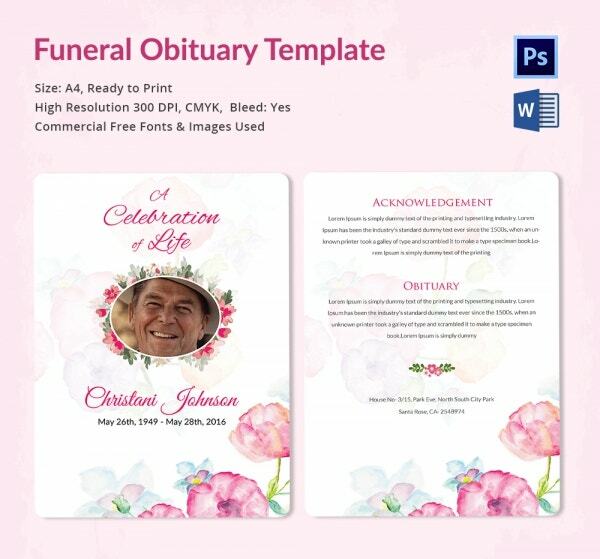 Why do you need Funeral Obituary Template!? 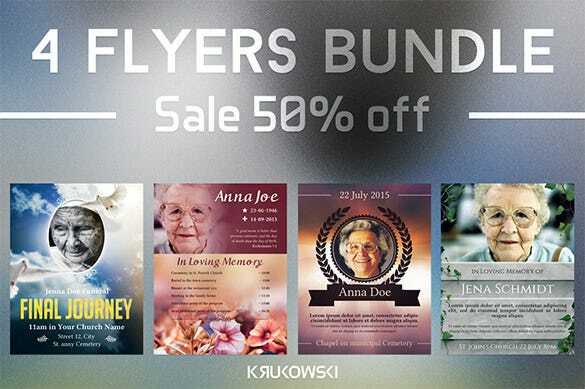 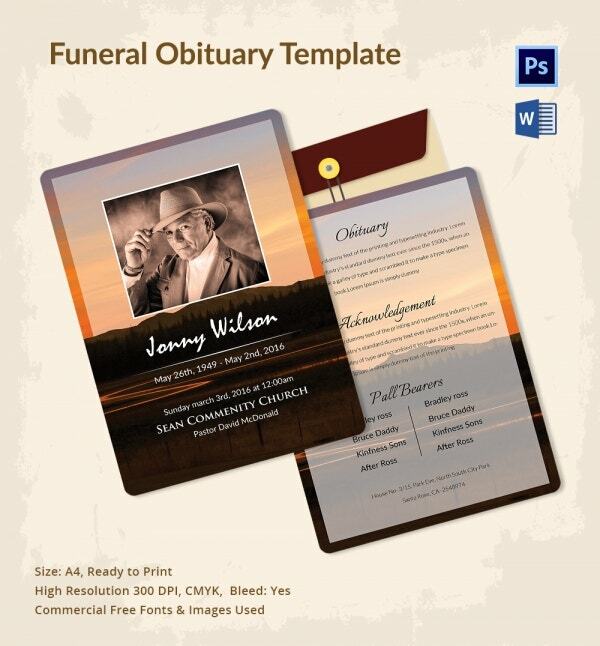 Downloadable funeral obituary templates emanate in various presentations that make them widely used by clients. 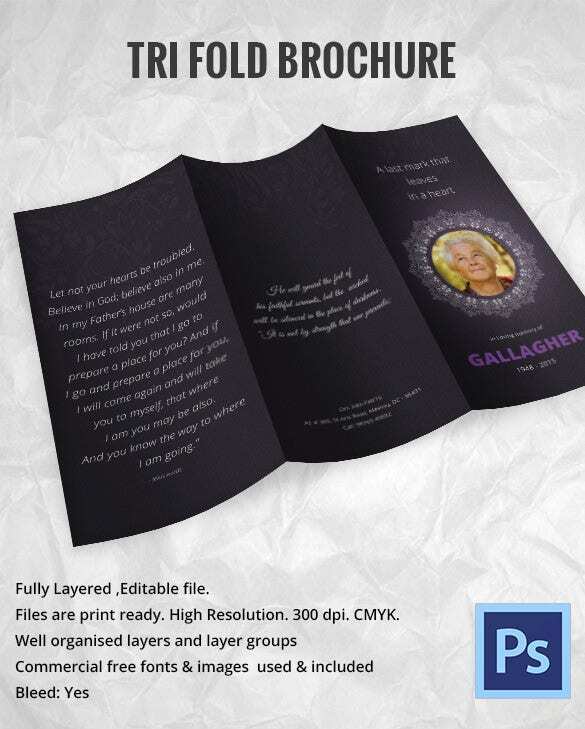 One can browse through the available templates and download one that perfectly suits one’s requirement either in word, excel, PDF or PSD formats. 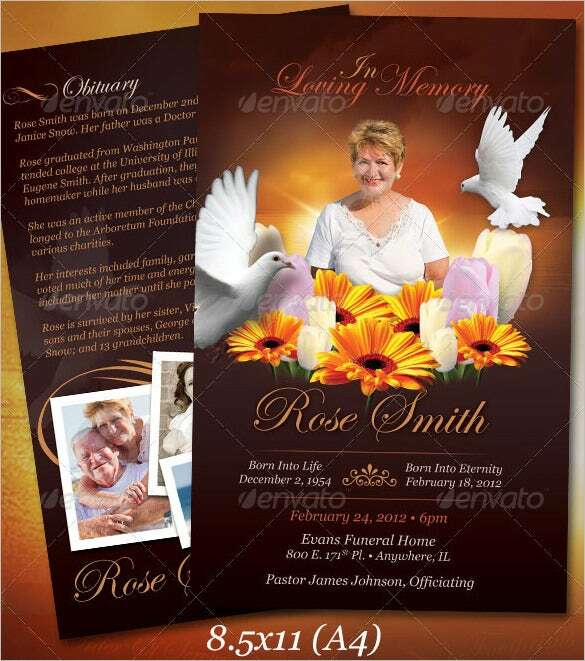 The layouts offered by these templates are very convenient to modify into a customized piece of obituary with ample place left for the user to pen down his or her feelings for the person whom he or she has lost forever. 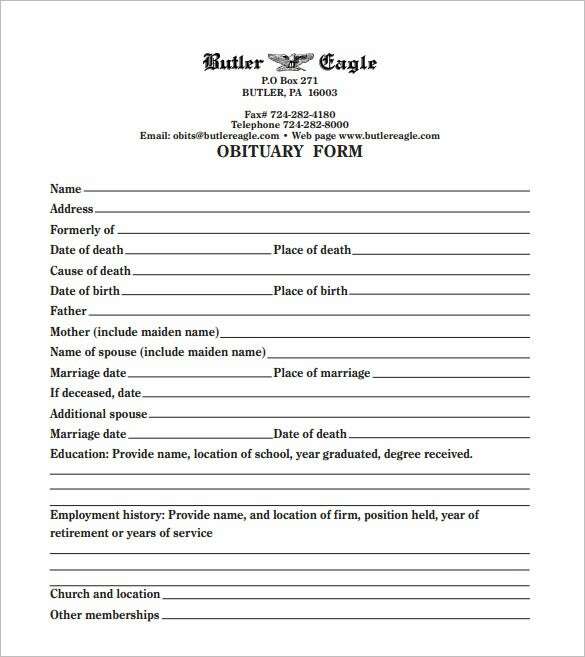 Generally, while writing an obituary, one pens down about the person and details of the upcoming funeral. 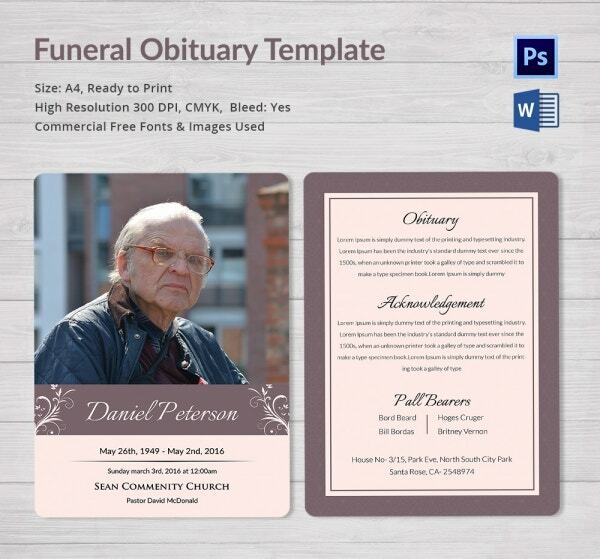 When do you need Funeral Obituary Template!? 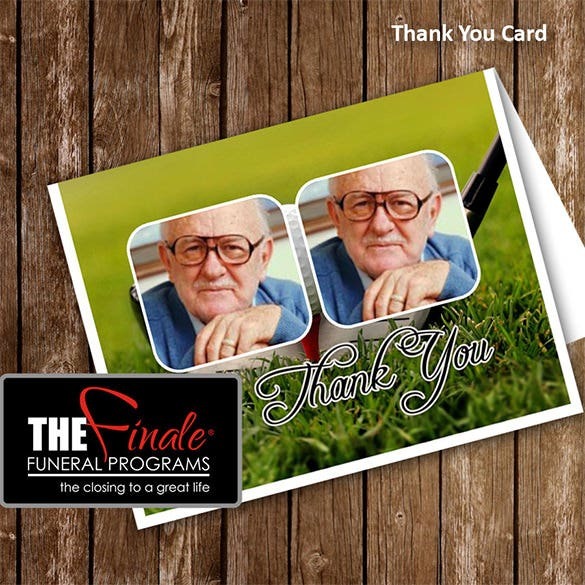 Every individual experiences a time in his life when he has to deal with grief in some way or the other. 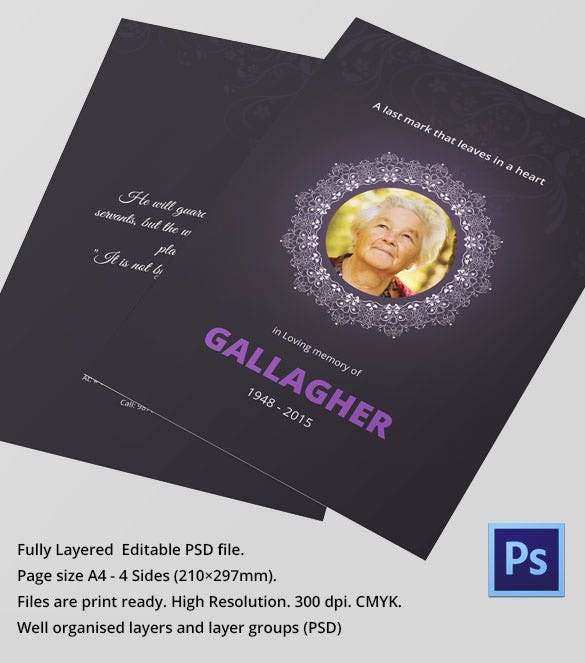 Loosing someone so close and important to an individual is difficult and in such a situation, the best way to reach out to the and express the love and emotions for the one gone forever is to pen down an obituary. 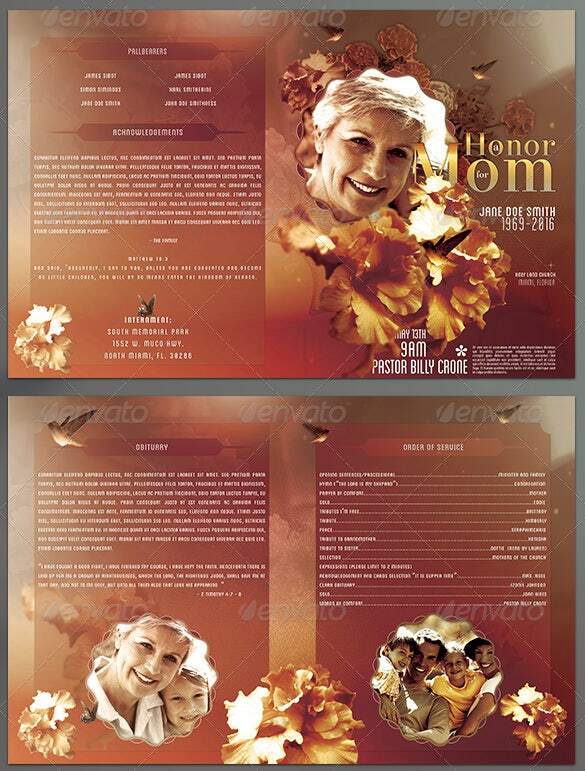 This is when the funeral obituary templates can be a great help as they offer appropriate design, color, theme and wording apt for such situations. 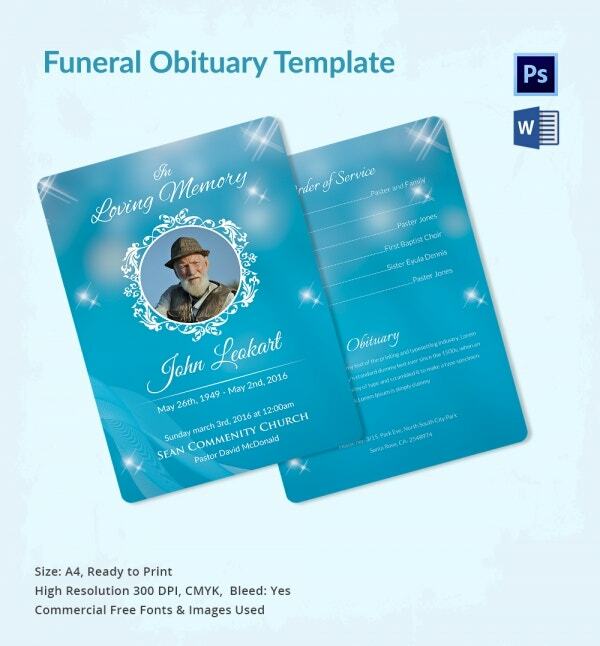 One can download a design, suited for his or her situation, to custom create an obituary. 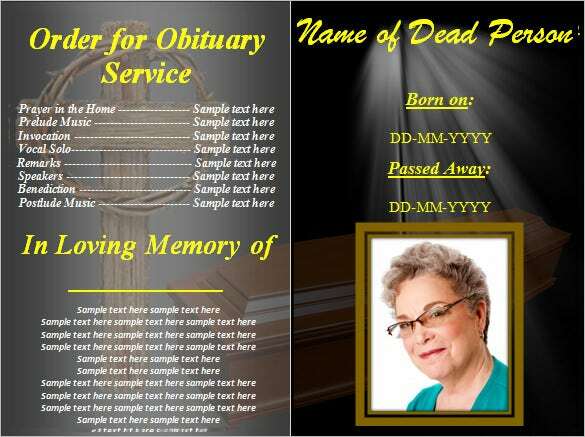 Benefits of Funeral Obituary Template! 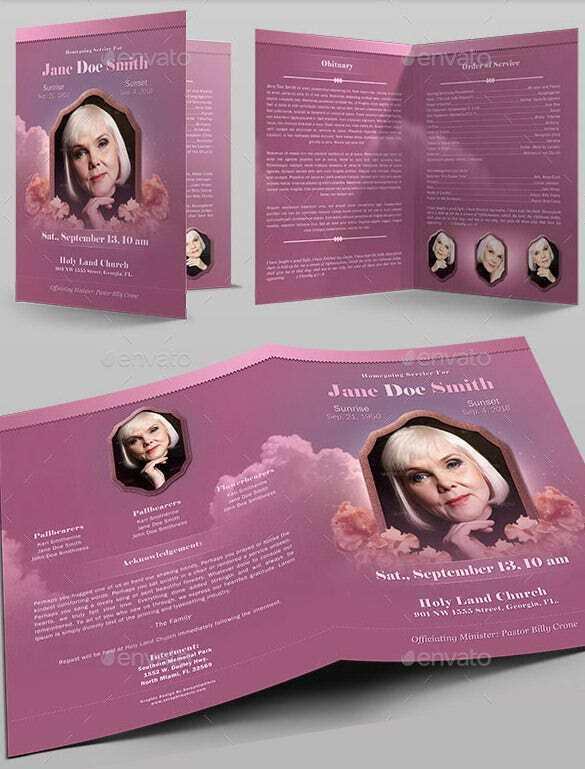 Funeral obituary templates help an individual to convey a deep sense of grief in the exact emotion as felt by the individual when someone has gone forever. 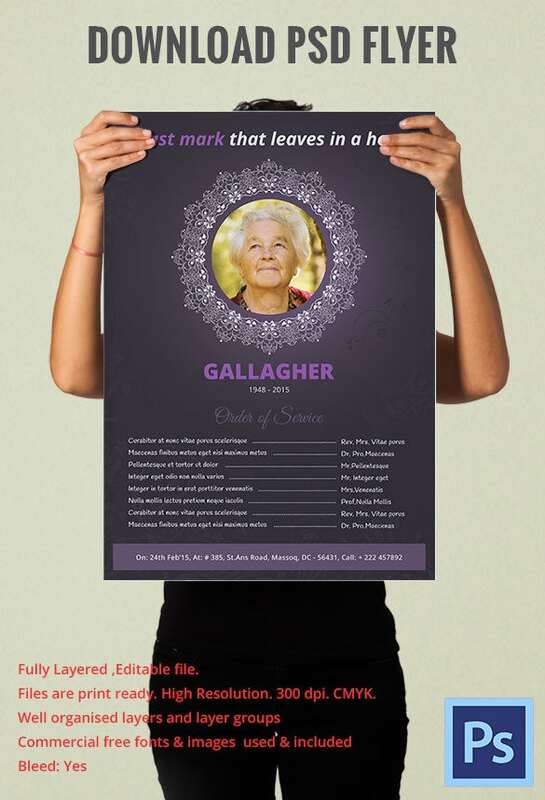 These templates allow a person to convey how important that person was and in what way the person was a part of the individual’s life. 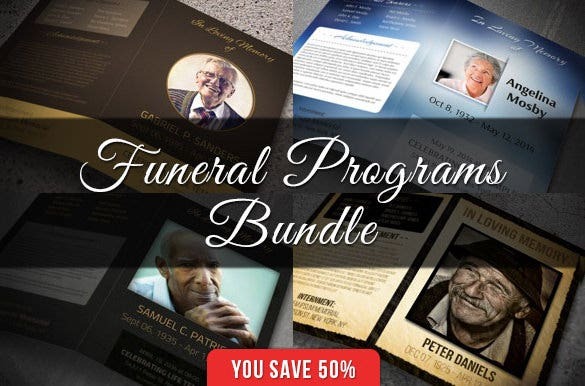 These readymade templates are available in multiple layouts and themes and offer appropriate blend of words and language and helps an individual to custom create one that express his love and feeling for the person gone forever through the piece of obit. 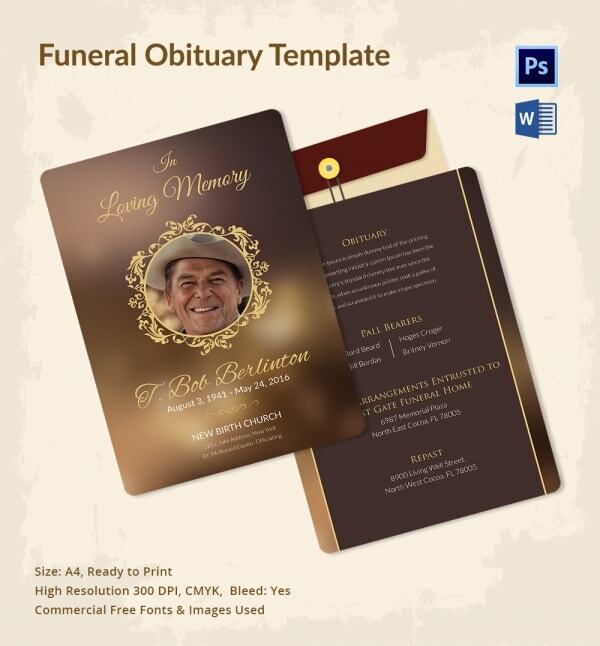 Funeral obituary templates are a great source for someone looking forward to write an obituary for a close one while having no idea about how to express his grief. 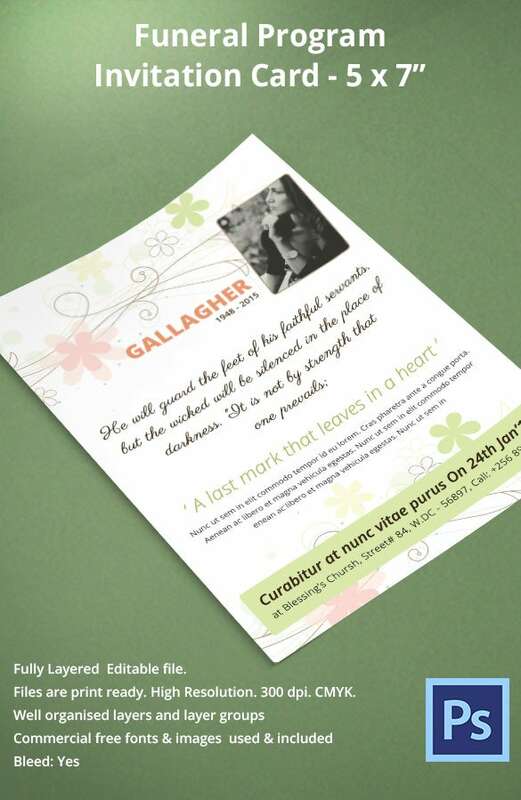 The templates help out an individual with the right choice of words expressing the person’s achievements and personality and the love and feelings of the individual for the lost one. 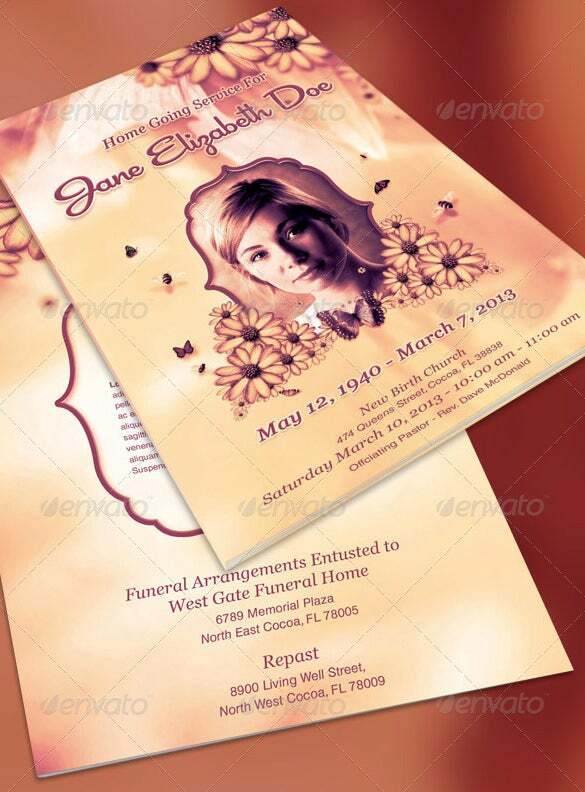 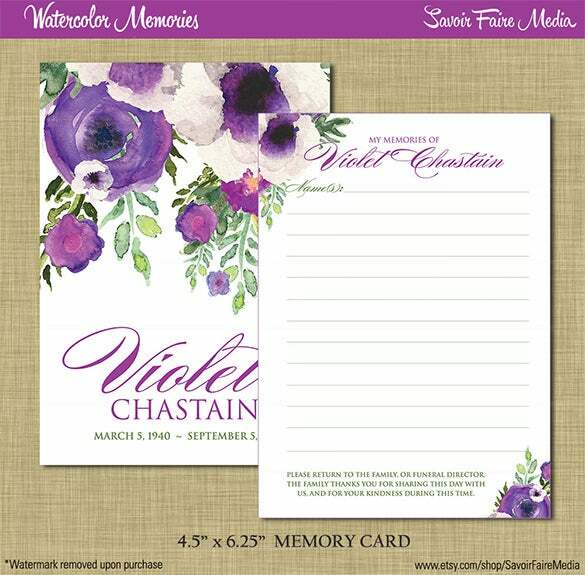 Funeral obituary templates will cease your difficulty to an extent as they will be enlisted with the dates and times scheduled for performing the sacred ritual. 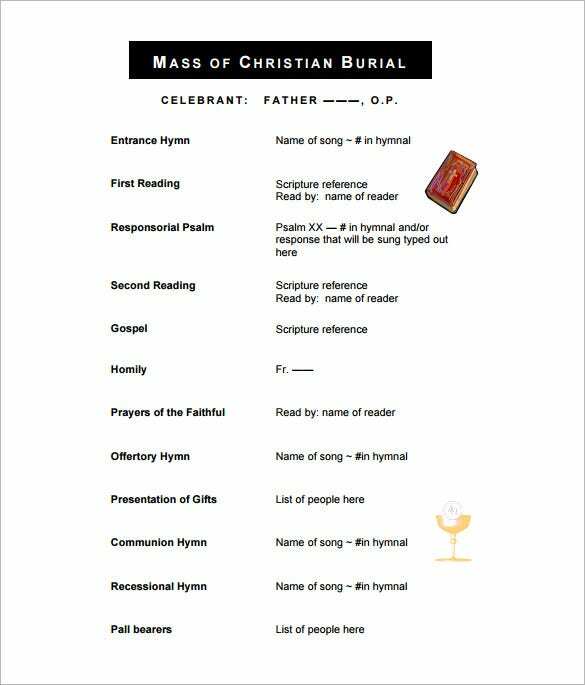 All the programs that will be performed will be mentioned thereby helping you to become a better host.